The foundation of the Zey-Tur-San company was laid by Ahmet Hamdi Ersoy. He began with olive cultivation in Gemlik in 1930s. 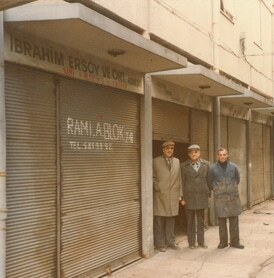 The business was then moved to Istanbul by İbrahim Ersoy. Turgay Tüfekcioglu initiated the production of pickles in Gedelek Village of Bursa in 1980. With an open mind for innovations, these men pursued the need for high quality pickles in the market and made the decision to contribute their labor and personal savings to invest in this industry. 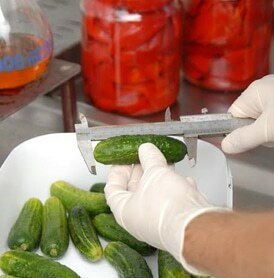 After Turgay Tufekcioglu built his own pasteurizer, Zey-Tur-San produced Turkey’s first pasteurized pickle in the Gedelek factory. Soon after, Zey-Tur-San sold Turkey’s first pasteurized pickles to Germany. This export was a milestone for both Zey-Tur-San and Turkey. Over the years, Zey-Tur-San diversified their product offerings. With the Berrak brand, Zeey-Tur-San has become the choice of customers at retail sales points. Zey-Tur-San has also become a supplier of the world’s largest fast-food chains by customizing pickle productions. 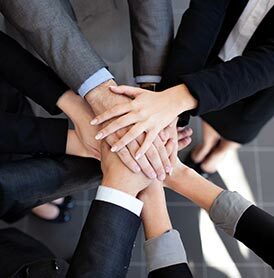 At Zey-Tur-San, we continue to increase market share in private label production (contract manufacturing) of national and international grocery chain markets. Zey-Tur-San is proud to be one of the global taste envoys of Turkey. Our products being exported to nearly 100 countries. By partnering with BPlas, a company owned by the Gokcen Family (one of Turkey’s most noted families) we have gained 150 years in industrial manufacturing experience.